*The Last Gatekeeper (The Chronicles of Fane Book 1) by Katy Haye. Price: Free. Genre: YA Paranormal Romance, Fantasy, Coming of Age. Rated: 4.8 stars on 9 Reviews. 233 pages. ASIN: B00P5DNUZY. *Promises, Promises: A Robin Bricker Prequel by Laurel Osterkamp. Price: Free. Genre: YA Romance, Sponsor, Psychological Fiction, YA Fiction, Contemporary Women, Psychological Thrillers. Rated: 4.6 stars on 11 Reviews. 100 pages. ASIN: B01FIJL2YU. This is What Goodbye Looks Like by Olivia Rivers. Price: Free. Genre: YA Romance, Contemporary. Rated: 4.3 stars on 9 Reviews. 338 pages. ASIN: B01F7S9P0K. ***Family Magic (The Hayle Coven Novels: Book One) by Patti Larsen. Price: Free. Genre: YA Romance of the Day, Sponsor, Young Adult Romance. Rated: 4.5 stars on 325 Reviews. 468 pages. ASIN: B005W5R79A. *The Moonstone (Enchantment Book 1) (Deal, Not Free) by Evelyne Contant, Monique Damus. Price: $0.99. Genre: YA Paranormal Romance Deal, Sponsor, Mythology, Fairy Tales. Rated: 4.8 stars on 11 Reviews. 343 pages. ASIN: B01C1Z2GDU. *The Lincoln Penny Book 1 by Barbara Best. Price: Free. Genre: YA Romance, Historical, Time Travel. Rated: 4.6 stars on 14 Reviews. 432 pages. ASIN: B00R51CVO0. ***Darkness Falls by Jessica Sorensen. Price: Free. Genre: YA Fantasy Romance, Sword & Sorcery, Literature & Fiction. Rated: 4.2 stars on 373 Reviews. 289 pages. ASIN: B007L9YZLS. Kindle Ya Romance Deals for Saturday! The Legasea (Siren Song Trilogy Book 1) by S.K Munt. Price: Free. Genre: YA Paranormal Romance, Paranormal & Fantasy. Rated: 5 stars on 4 Reviews. 340 pages. ASIN: B016YGYTB4. Posted on June 25, 2016 Author KibetCategories Free YA Fantasy Romance Book for Kindle, Free YA Romance, Young Adult Romance Kindle Books FreeLeave a comment on Kindle Ya Romance Deals for Saturday! *Amaranthine (Willow Shadows Book 1) by Lanie Jacobs. Price: Free. Genre: YA Paranormal Romance. Rated: 4.8 stars on 11 Reviews. 235 pages. ASIN: B0145LAQ8K. *Romance: Stolen By A Star – A Contemporary Romance (Dawn and Tom Series: Romance, Contemporary Romance, Millionaire Romance Book 1) by R.G. Winter. Price: Free. Genre: YA Romance, Sponsor, Contemporary, New Adult & College. Rated: 4.4 stars on 8 Reviews. 95 pages. ASIN: B01E2DZJA6. The Year I Became Isabella Anders (A Sunnyvale Novel Book 1) byJessica Sorensen. Price: Free. Genre: YA Romance, Contemporary. Rated: 4.4 stars on 131 Reviews. 211 pages. ASIN: B013YR9IFS. 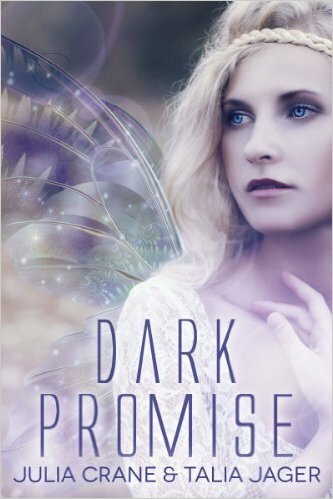 ***Dark Promise (Between Worlds Book 1) by Julia Crane, Talia Jager. Price: Free. Genre: YA Paranormal Romance, Sponsor, Fairy Tales & Folklore, Sword & Sorcery. Rated: 4.6 stars on 234 Reviews. 242 pages. ASIN: B008QI80MS. *Ruined (The Seraphim Series Book 1) by Sophia Stafford. Price: Free. Genre: YA Paranormal Romance, Sponsor, Paranormal & Urban Fantasy. Rated: 4.5 stars on 14 Reviews. 304 pages. ASIN: B00T9LB4U6. *One Black Rose by Maddy Edwards. Price: Free. Genre: YA Paranormal Romance, Fantasy. Rated: 4 stars on 45 Reviews. 185 pages. ASIN: B005UO7QUI.